The Healthy Communities Capacity Building Grants for local governments are open for applications until March 14, 2014. Applicants and interested parties who were unable to attend our over-subscribed webinar on January 23 can access the webinar recording, slides, and related resources on the PlanH website. The grants support local government learning about the community context for health and well-being, partnership development between sectors, collaborative priority setting for health and well-being in local planning and policy, and innovative action to influence local health outcomes. Earlier this week, BCHC Healthy Communities Coordinator Krissi Spinoza gave a presentation to the Winds of Change Committee in Pemberton. The Winds of Change is a collaborative public policy initiative of the Mount Currie Band and the Village of Pemberton that works to reduce the harm associated with drug and alcohol misuse. The group is currently working to develop a Community Alcohol Policy using funding from BC Healthy Communities Society. If your community is interested in reducing the harm caused by alcohol, contact Krissi to find out more about the help available. Has your community been working on an age-friendly plan or a project to improve life in the community for older adults? If so, you may be eligible to join 17 other communities who have been awarded for their efforts to support healthy aging. Local governments can be formally recognized as an Age-friendly BC community after completing four steps that focus on community engagement, commitment, assessment and action. Recognized communities receive a recognition poster, a $1,000 reward and promotion on SeniorsBC.ca. E-mail AgefriendlyBC@gov.bc.ca for an application form or visit: www.gov.bc.ca/agefriendly and search “Getting Recognized – Age-friendly”. Applications received by March 31, 2014 are eligible for the 2014 award. 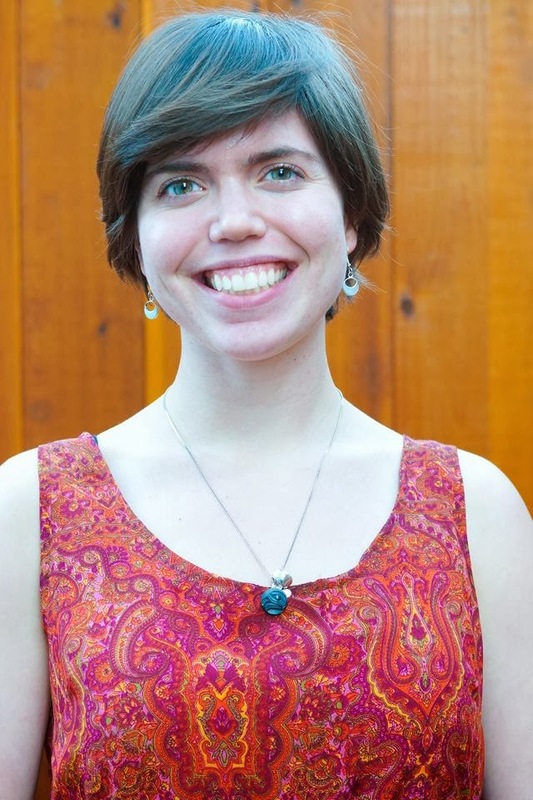 Angela joined the BC Healthy Communities Society team after graduating from and working at the University of Victoria. In 2011, she earned a BA Social Sciences (Sociology major, Geography minor) with three co-op work terms focused on communication. Angela played a major role in organizing events to raise awareness about mental health and systemic violence while employed at the Equity and Human Rights Office. She also gained administrative and project management skills as a Research Assistant at the WITS Programs: Creating Responsive Communities for the Prevention of Peer Victimization. Angela grew up in the northern interior of British Columbia, and is excited to connect with people across the province and to support a holistic approach to health. We're delighted to help the Town of Creston and the Regional District of Central Kootenay coordinate an integrated youth engagement plan in a project funded by the Columbia Basin Trust. The Creston Area Youth Forum runs on January 29 at the Prince Charles Secondary School & Mormon Hills School in Creston. Check out the event and the multimedia contest on Facebook. 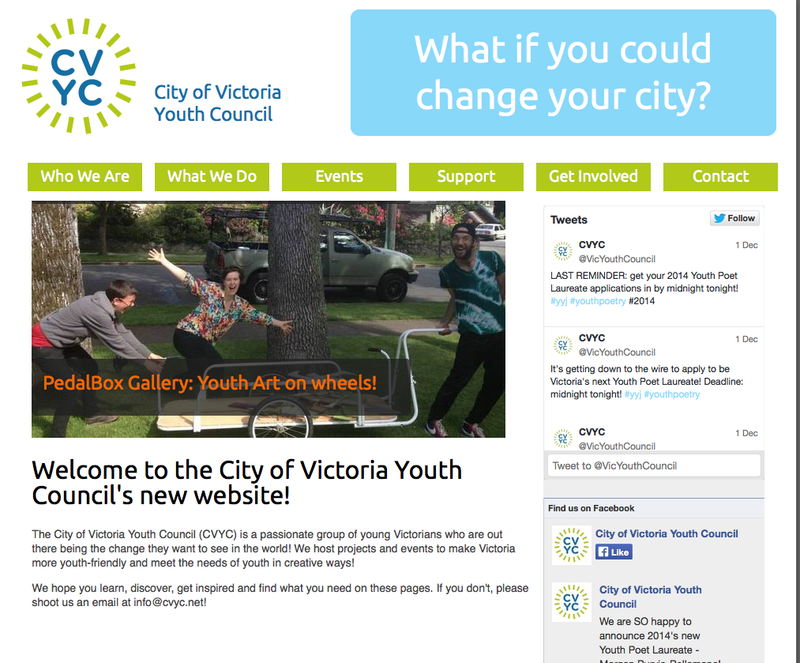 The City of Victoria Youth Council is so pleased to announce our brand new website! The redesign of the website is a great example of our "by youth, for youth" approach to community initiatives. First, a revamping of our website was identified as a priority by the Youth Council's Media Team. The Media Team then developed a site plan, colour scheme and "vibe" for the website over the course of a couple months with the support of the other Youth Council members and our Coordinator. Lastly, our young web developer Nev Gibson from The Indivision Network (http://indivision.ca/) made our vision a reality and we could not be more pleased with the result! Check it out at cvyc.ca! The PedalBox Gallery was pleased to participate in the Greater Victoria Cycling Coalition’s public consultation event for the re-vamping of the decade-old City of Victoria Bicycling Master Plan. Hosted at the Central Library on November 30th, the event gave members of the Victoria cycling community an opportunity to start a meaningful discussion about the future of cycle friendly infrastructure in the CRD. We set up PedalBox in the courtyard with the photography of Alex Bennett-Colpman (pictured). The artist chatted with attendees after the event about his art, and the relationship between art and cycling. 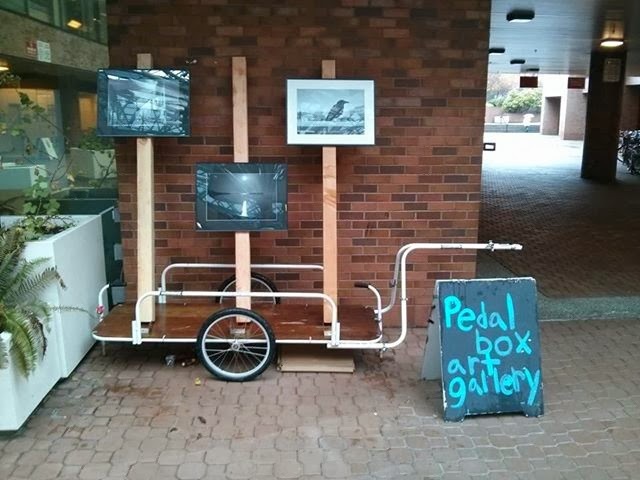 In the upcoming weeks, PedalBox will be touring the city on locations along the Galloping Goose and Lochside trail displaying a sculpture made by local youth artist Zoe Cassidy. What's next? There will be a curatorial committee formed from members of the City of Victoria Youth Council to choose the next artist. Keep the loop by liking us on Facebook. In April 2012, prominent local spoken word poet and activist, Jeremy Loveday approached the City of Victoria Youth Council with an exciting proposal for a City of Victoria Youth Poet Laureate. After some Internet sleuthing and Google searches, and reaching out to Youth Councils across Canada, we realized we would be the first city in Canada to have a Youth Poet Laureate. Talk about innovative! Loveday's original vision for the Youth Poet Laureate was, "A youth poet who can speak for the youth of Victoria and document what youth culture is like in Victoria." A steering committee, comprised of Loveday, Youth Council Coordinator Kluane Buser-Rivet, Victoria Poet Laureate Janet Rogers, and City Councillor Lisa Helps was assembled to find funding for the position, establish terms of reference, and ultimately, select Canada's first Youth Poet Laureate. Funding for the program comes from the private sector. This year Reliance Properties, developers of the Janion Building micro lofts have stepped forward to sponsor the Youth Poet Laureate Program. Aysia Law, a 21 year old creative writing student at UVic, did an excellent job as our first Youth Poet Laureate presenting at dozens of local events and at City Council and Youth Council meetings in 2013. She also hosted a Diversity Slam, a very well attended poetry slam where mostly first time presenters were not rewarded with points for their performance, just with raucous applause from the friendly audience. The Youth Council looks forward to hosting the Youth Poet Laureate for a second year in a row with Morgan Purvis, 2014's City of Victoria Youth Poet Laureate! Being the oldest sister taught me the canonized bookwork of motherhood. They were disguised as friendly family-men. Costumes completed with real live wife-and-kids-accessories. and you carry paradise under your tongue. Jin-Sun Yoon looks at the big picture and yet pays attention to every step she takes. She connects pieces of the social justice puzzle to illustrate the systemic processes and perspectives that contribute to discrimination and inequality in Canadian society and globally. Born in South Korea, she emigrated as a child before the advent of a multicultural policy. 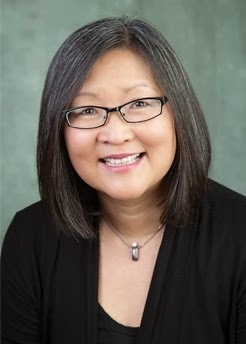 Jin-Sun is now a Teaching Professor in the School of Child and Youth Care (CYC) at the University of Victoria. Areas of her research interests include: intersecting identity development, colonialism, and Indigenous-settler relations. Jin-Sun builds solidarity among Indigenous and racialized girls and women. She is a founding member of antidote: Multiracial and Indigenous Girls and Women’s Network, an award winning, not-for-profit organization focused on empowerment and creative participatory methods to bridge community, activism and research. She sat for many years on the Ethno-Cultural Advisory Council for the BC Ministry of Children and Family Development, and has delivered diversity training to the BC Federation of Teachers. She has recently contributed to the development of curriculum and videos for the Cuystwi Indigenous Youth Wellness Project, an online training quest for youth (ages 10 to 13) to increase their understanding of the cumulative impacts of colonization, to address racism, and to build personal and collective strengths. She has worked with many Indigenous organizations to engage youth in focusing on community wellness, instead of individualized mental health problems. Well-known for inspiring students and peers, Jin-Sun is committed to providing opportunities to work collaboratively across disciplines, to participate in conferences, and to contribute to major projects, such as the “Making a Difference” video on the CYC website. “I am involved with an army of students,” she says, and it’s certain that many more would love to enlist due to her impeccable record of support, interesting projects, and global networks, such as partnering with the University College of Copenhagen to develop summer institutes and international exchanges. It’s not surprising that Jin-Sun will be awarded the Harry Hickman Alumni Award for Excellence in Teaching next month. At UVic, Jin-Sun builds community and learning connections as chair of the Community Engagement Council, and is currently working on a Course Union Sustainability Plan to build inclusion and engagement and to reduce student burn-out. She is the co-chair for the Child & Youth Care In Action IV Conference in May 2014, co-chair of the Minority and Indigenous Women Instructor’s Network, and member of the Academic Women’s Caucus Steering Committee. Furthermore, she is an organizing committee member of the annual Provost’s Research Diversity Forum, which brings together faculty, staff, students, and the community-at-large, to generate conversations around issues of equity and social justice. As a mentor within the Positive Space Network (PSN), a visible network of campus members working to make UVic a safer and more inclusive space for people of all genders and sexualities, Jin-Sun will be facilitating the PSN 2.0 panel presentation at the Diversity Forum on January 30th. She is also looking forward to hosting her mentor, Dr. Yvonne Shorter Brown, who is speaking at the keynote address of this conference, as well as other local venues, such as a community event for the African Heritage Association of Vancouver Island. Jin-Sun doesn’t mind making people feel uncomfortable because she believes that is how people change the status quo. She wants them to recognize their own ancestral roots and the manufactured tension that has been created between Indigenous people and racialized immigrants in relation to colonization. In her work, she endeavours to create solidarity by expanding perceptions of interpersonal experiences and how people relate to one another, as well as, by imparting the significance of shared responsibility to decolonize and to develop cultural acumen. Jin-Sun provokes her community to critique their role in colonization, connect with one another, and to continue pushing towards respect and equality for Indigenous and minoritized peoples in order to make Canada a more just nation. Urban sprawl is a multifaceted issue, but there are two major contributing factors that relate to the built environment: suburban development and urbanization (Gurin, et al., 2003). Suburban communities are often located far from the city center, are low density, and promote auto dependency. At the same time, more Canadians are leaving rural areas and are gravitating towards urban centers. With the rapid growth of urban centers, this can perpetuate urban sprawl if this expansion is not appropriately planned for. Human health and the natural environment are at risk if actions are not taken to mitigate urban sprawl and the consequential negative impacts. Urban sprawl can result in a reduction of green space and an increase in auto dependency, which is correlated to a loss of wildlife habitat, an increase in greenhouse gas emissions and pollution, poorer quality of life, and a rise in sedentary behaviour (Gurin et al., 2003). Solutions to combat urban sprawl and prevent these negative impacts have been long sought after, and transit-oriented development (TOD) is one plausible strategy that can be implemented within a community’s policies and development plans. TODs are characterized as compact mixed-use residential developments that are located within 800 meters, or a 5 to 10-minute walk of a transit station or major stop. TODs incorporate smart growth principles such as densification, improving connectivity to encourage walking, biking and other forms of physical activity, and increasing mixed-land use to promote a healthier community. TODs are not only large-scale urban projects, but can occur incrementally within a community around existing transit stops or nodes (CMHC, 2009). Typically, TODs are built as close as possible to a major transit station and have a number of pedestrian walkways or bicycle routes conveniently connecting the development to the transit node. Mixed land use is a key attribute of a TOD. Having a range of retail services and other attractions located within the development project or in close proximity to the development site has the potential to further encourage people to utilize the public transit system rather than relying on private transit to reach various amenities. TOD has been implemented in a number of cities across Canada including Vancouver, Edmonton, Calgary, and Ottawa. 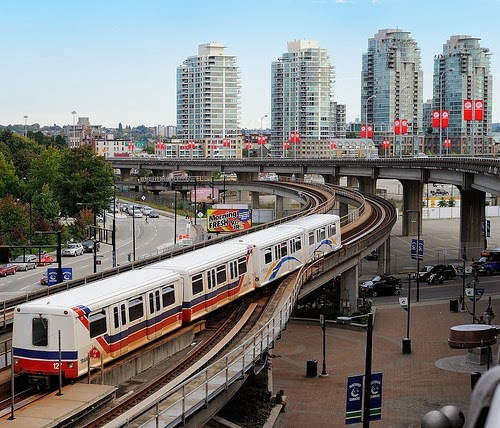 Vancouver is an exemplary case, as the city has committed to developing and implementing a Transit-Oriented Community Plan (TransLink, 2012). This project was coordinated by TransLink in partnership with Metro Vancouver, the local municipalities, municipal planners and developers. As part of this plan, the Time building was constructed in North Vancouver. This is a prime example of TOD, as the Time residence is located just 200 meters away from the SeaBus terminal, is connected to this transit node with various walkways and bike paths, and consists of 265 residential units, a grocery store, drug store, and community center (CMCH, 2007). Although the majority of TODs occur in major urban cities, smaller communities that are experiencing rapid expansion or that are in a phase of redevelopment may consider incorporating a TOD strategy into their official community plan to support a healthier lifestyle for their citizens. Rural communities are encouraged to seek opportunities to invest in a well-designed transit oriented system in small increments as a method of preventing urban sprawl and the negative impacts correlated with it. Although this is not the only strategy to combat urban sprawl and its effects, TODs are certainly a powerful force that can positively shape land development patterns in a way that supports environmental sustainability and also promotes healthy behaviours among the residing population. We're partnering with Northern Health to host our fourth year of ‘Citizens Series’ webinars. These two-hour sessions invite dialogue from northern communities on specific topics that are critical to improving the health outcomes of northern people, recognizing that community and civic involvement is a cornerstone to healthy people and populations. Each session panel will include strong northern-based voices, as well provincial or national leaders in the topic area. All you need is access to a phone and computer with an internet connection. This is a opportunity to gather colleagues and interested advocates, and access this learning webinar at a very low cost – free! Please contact us for more information or to register. Constructed around five major themes -- play, organization, self, emergence, and coherence -- A Simpler Way challenges the way we live and work, presenting a profound worldview.In thoughtful, creative prose, the authors help readers connect their own personal experiences to the idea that organizations are evolving systems. With its relaxed, poetic style, A Simpler Way will help readers increase their organizing capacity and free them from the daily stress that disorganization brings.